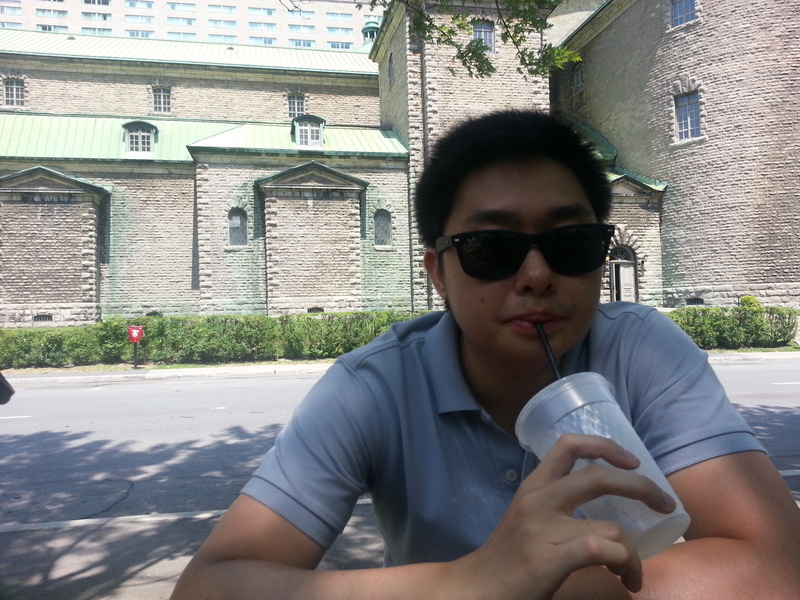 Two summers ago, tfung had come to Montreal with me as I needed to find an apartment to live for my upcoming school years at McGill. He had wanted to visit Montreal as he used to come here often with his family, as his mom is a McGill alumni. 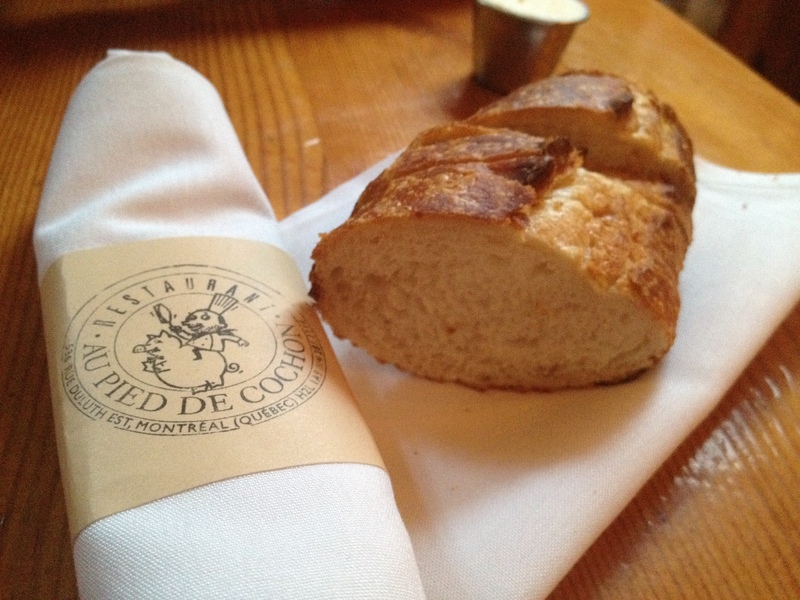 We had booked Pied de Cochon about a week in advance and were only able to land an 8pm booking. From word of mouth, this was apparently a very good time. A lot of my friends can only get a 5pm or 9pm booking. Perhaps it was because we went on a weekday, I’m not sure. Either way, we had closed the deal on my apartment, paid the deposit and signed the contract, so I was obviously very relieved and happy. I had said that this meal was my treat, as he was a huge help in my apartment-finding ordeal. To be honest, the restaurant was a little difficult to find. The area wasn’t too difficult, but there wasn’t a huge sign that said Pied de Cochon, and I wasn’t used to the Montreal restaurants back then. Nonetheless, we finally found it and were seated straight away. The decor of the place is a hybrid between a grill and a seafood restaurant. There were huge tanks filled with different types of seafood, and right behind if was the kitchen where all the grilling and stewing was done. 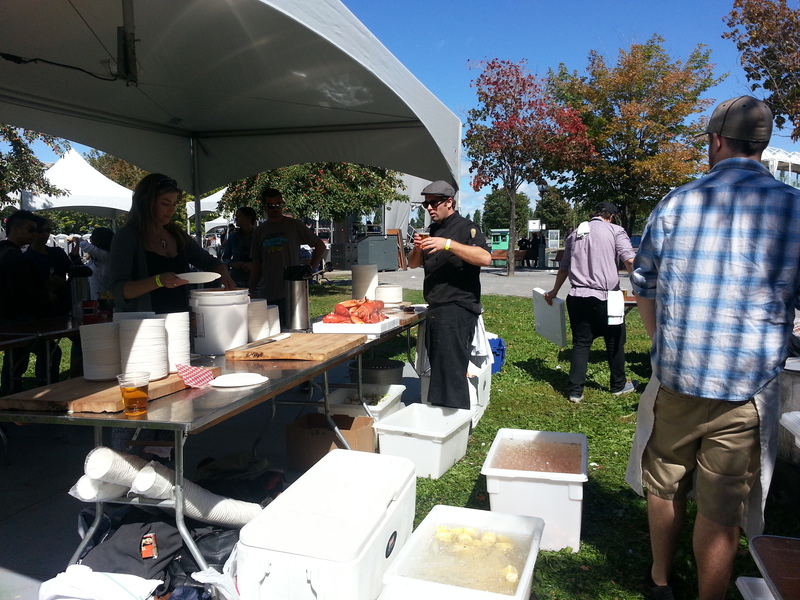 There was also a bar by the kitchen, which was nice for patrons who wanted a heavy snack with a light beer. 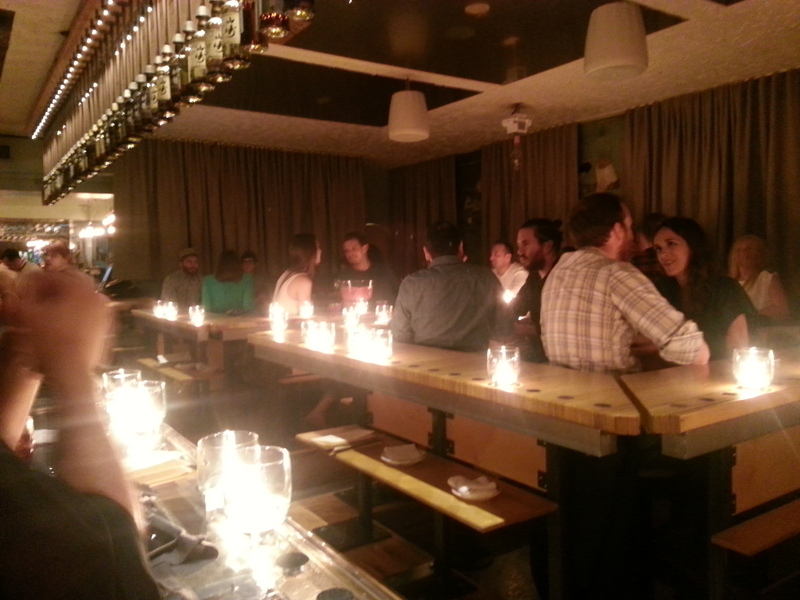 We were seated close to this bar and so we were able to get a good look at everything. 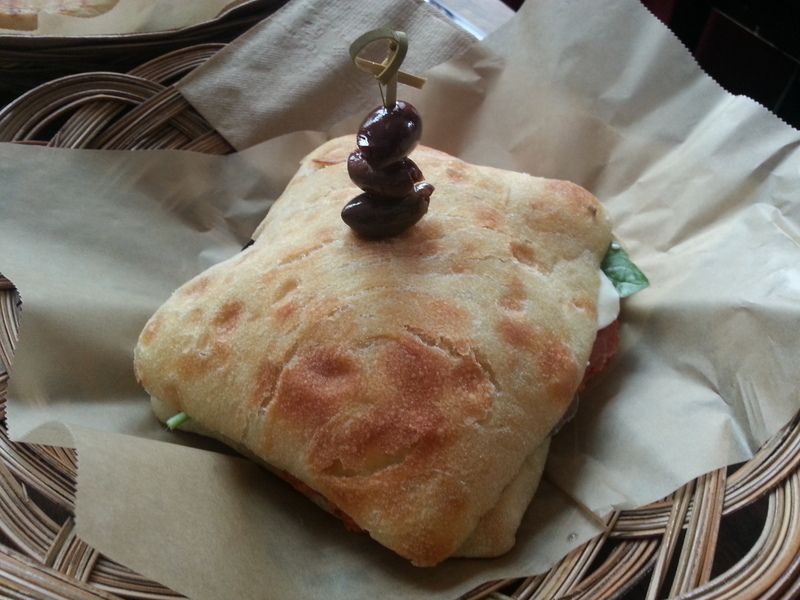 Bread came after we ordered, and I thought their logo was super cute. 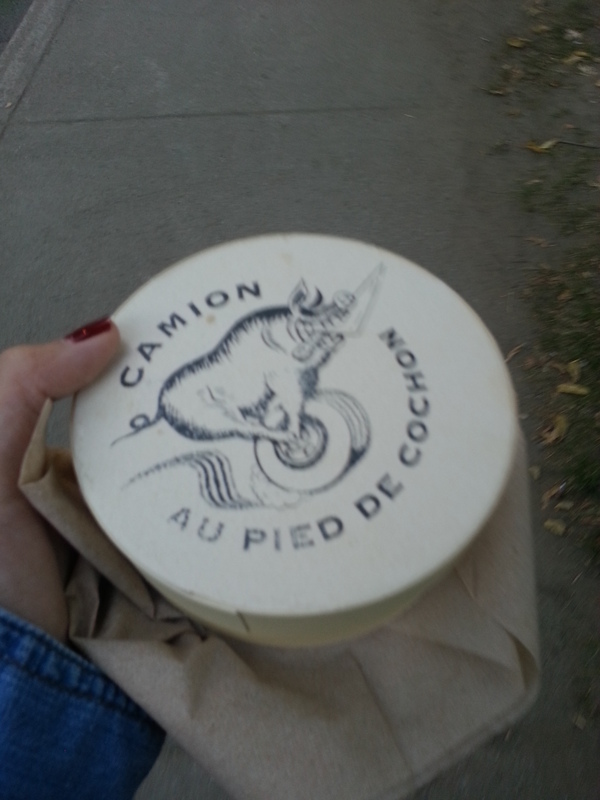 Au Pied de Cochon means Pig’s leg. We ordered half a dozen oysters. It was this summer that we started getting into raw oysters and this was probably one of the first places that we had it together. 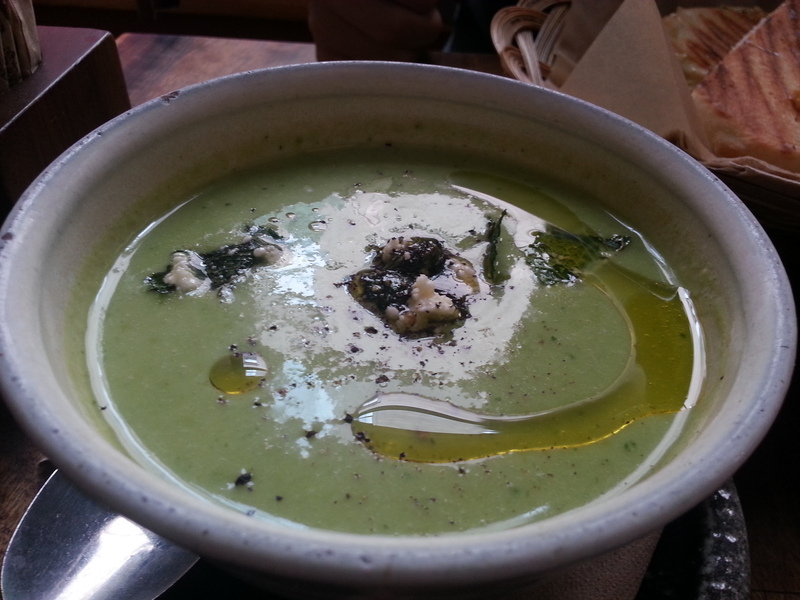 It was quite fresh and I really enjoyed it. 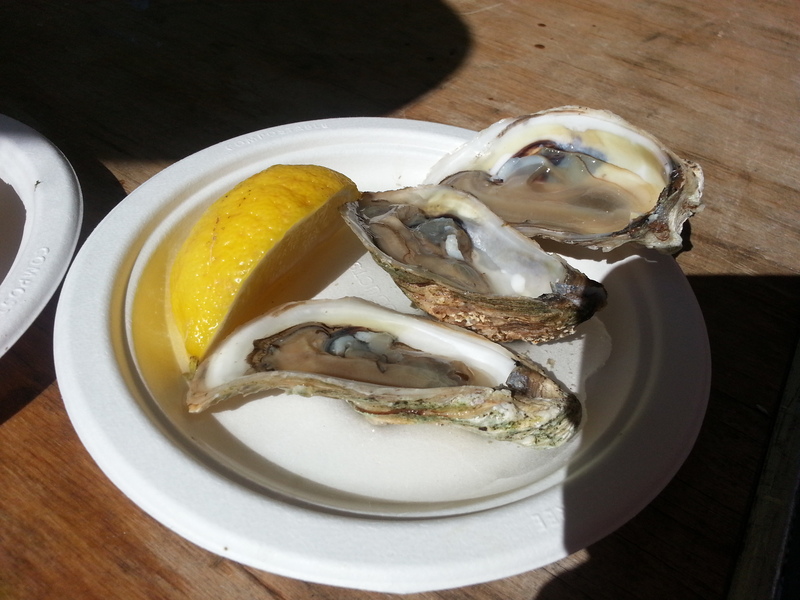 There was some salt at the bottom so on some oysters, you could taste it as you ate the oyster. 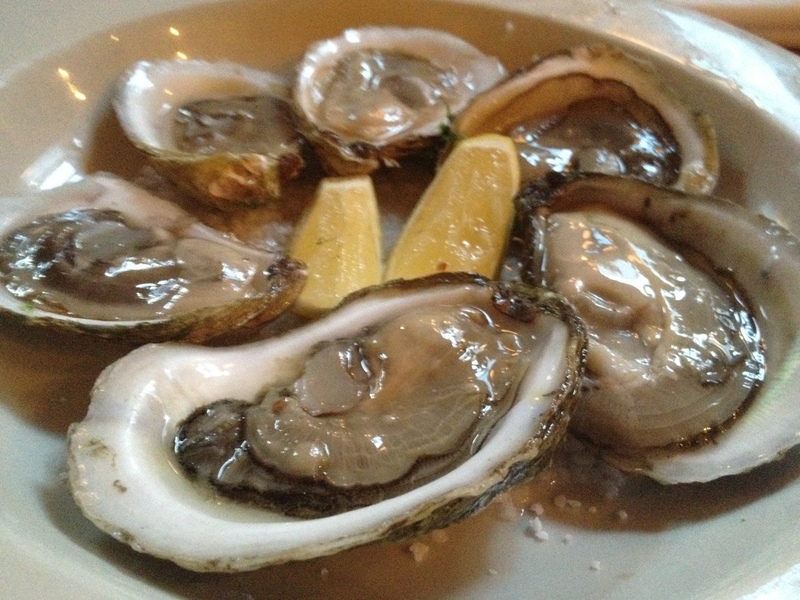 I believe the oysters were of the East Coast which was why they were sweeter and did not carry the fishy taste. 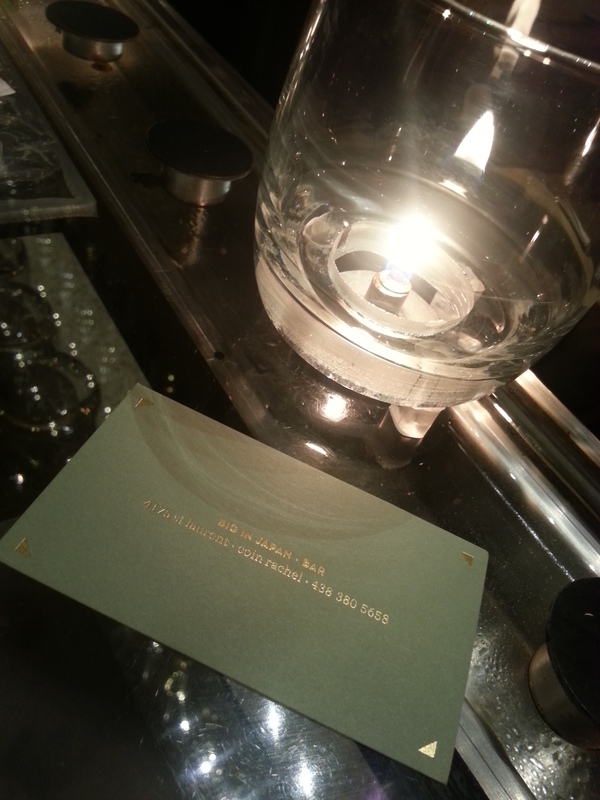 We also ordered the Foie Gras “Tout Nu”. It was a decently sized piece of foie gras of a firmer consistency. There was a reduced fatty sauce on it, served on a crostini. Honestly, when it first came I was thinking “That’s it for $21???”. But as we started eating it, it was REALLY filling. The two of us could barely finish this piece. It really was delicious and didn’t have a strong organ taste that can turn a lot of people off. It was rich and the sauce complimented it well. 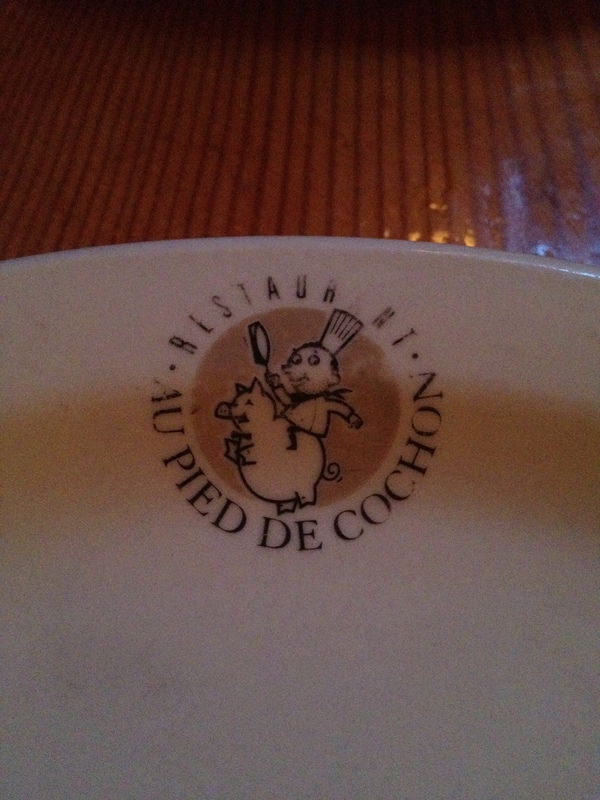 We were recommended the Duck in a Can by our friends, but we opted for the Pied de Cochon as our main. We figured there was a reason that this dish was named after the restaurant. What we got was a piece of pig’s leg covered in a scrumptious mix of onions, tomatoes and other common veggies. 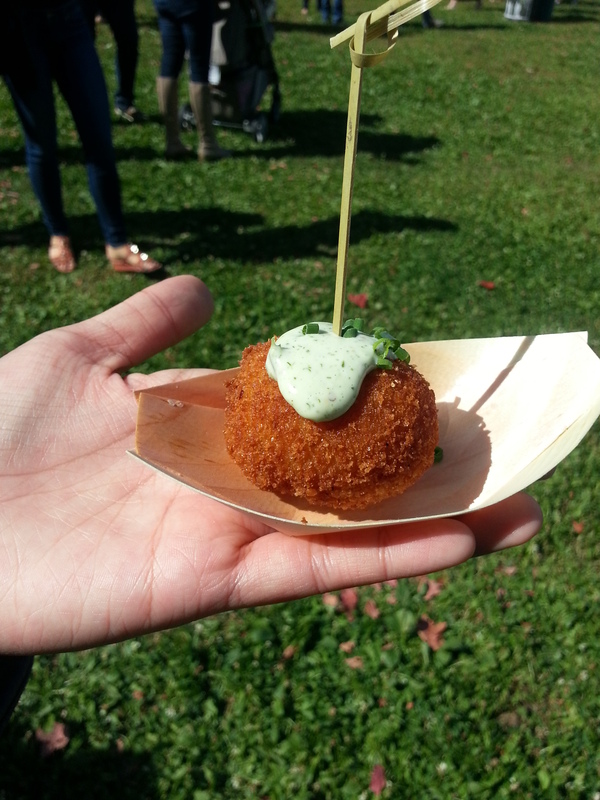 On top of the pool of mashed potatoes, was a piece of deep fried mixture of pig’s leg meat, fat and gelatin. I didn’t enjoy the deep fried package much, as I didn’t like the texture and it just tasted gross to me. However the pied de cochon and the mashed potatoes were very delicious. 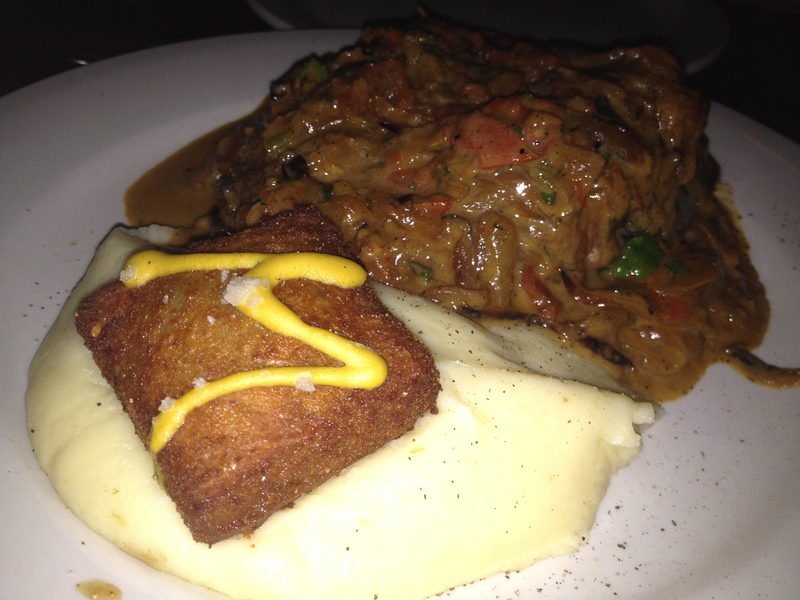 The pig’s leg was completely braised, tender and almost melts in your mouth. The medley of vegetable-filled sauce went well with the braised leg. The potatoes were not too salty or too bland. They were extremely silky which leads me to question whether it’s real potatoes. But altogether it was really good. However the portion size was a little much and we really couldn’t finish it. The service was quite good. They came when we wanted them to and gave us enough but not too much time to decide. I hate when they rush us in the beginning then don’t come back to take our order for another 30 minutes. 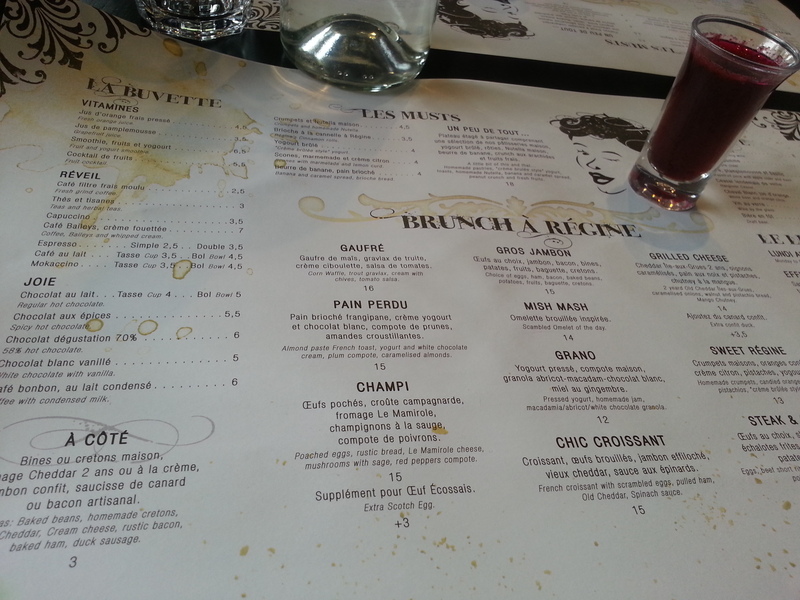 They were nice about us sharing a main dish, and were overall quite hospitable despite us being anglophones. 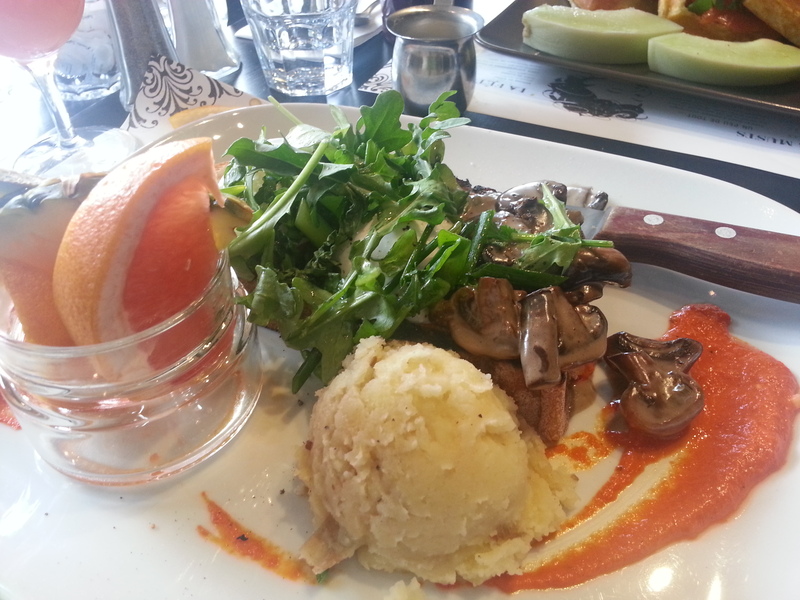 Although it was really good, the food was really really heavy and fatty. It was yummy but I felt guilty about eating this for days after. I haven’t gone back in the last year, mainly because I didn’t want all that fat in my mouth again. If you’re not conscious about what you put into your body, definitely give this a try, and make sure you make a reservation early!! I would recommend at least 1-2 weeks before! 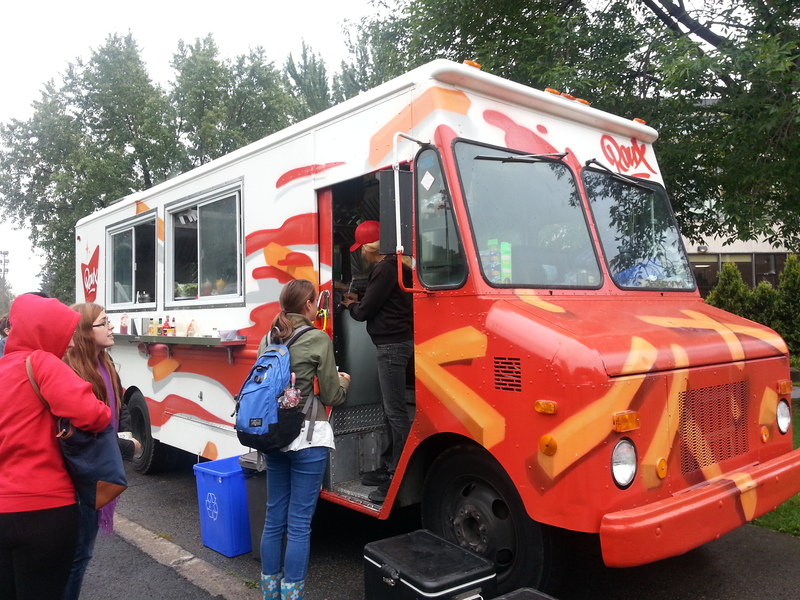 So of course, since the food trucks are legally allowed back on the streets of Montreal, I had to go visit them. Around the time that I learned of this information was when tfung was coming to visit me while I was doing my internship in the summer. We had decided that one of the mornings, we would dedicate to food trucks. 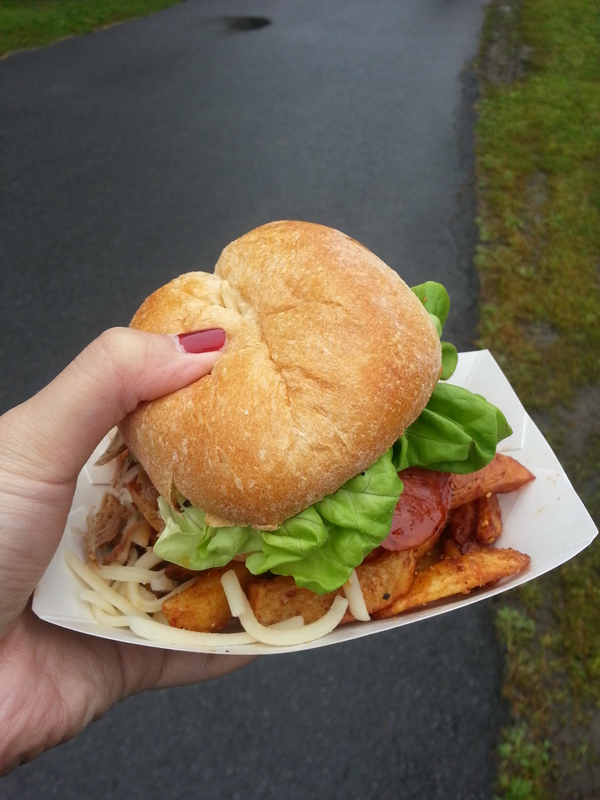 The food trucks go pretty much all day from 11:30 to 6pm, and they move around to different locations. It’s actually really fun and exciting if you rent a bike (or use your own) to go around each of them and get a small sample. The first place we hit was by the port near Lachine, west of old port. We had biked down there on a beautiful day, but I was in fact wearing a skirt. Poor planning on my part. 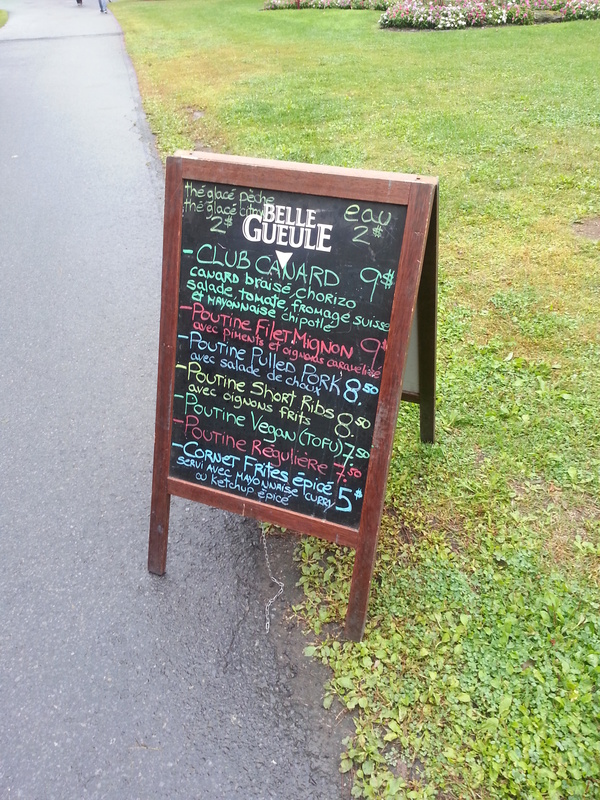 The food truck was called le Quai Roulant. We quickly ordered and there was only one thing on the menu that we wanted to try. The crab cakes. 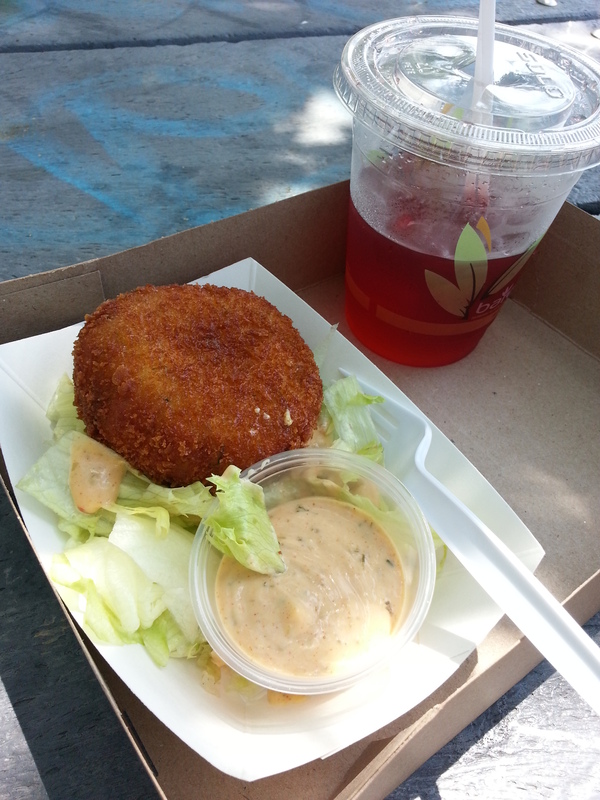 So we ordered two crab cakes and a Blood Orange Iced Tea. 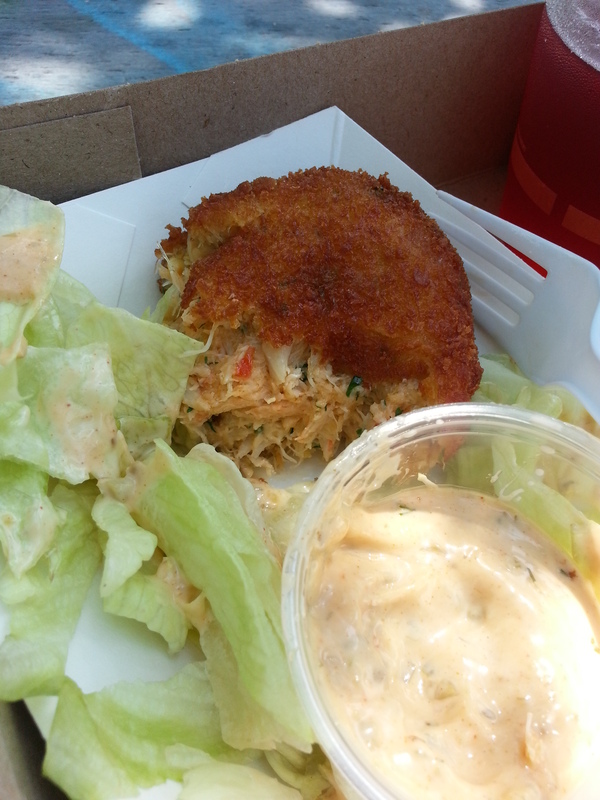 The crab cake was full of juicy crab meat (whole pieces) and had good seasoning in it. It was just the right amount of saltiness, and the batter was done quite well. It doesn’t look like the batter was done right but it definitely had that crispy crunchiness that I look for in a crab cake. Overall I thought they were excellent. The iced tea was mediocre, and I thought it was a little expensive ($3) to randomly buy it. But it was a nice day and iced tea just seemed right. It was nice because we were able to sit at some benches close by, and the view was either the richer, or cyclists on a Saturday morning. Biking up to the next location, we didn’t end up getting any food. We were just too thirsty and opted for a large Lavender Lemonade from Lucky’s food truck. It was good, but a little too strong-flavoured for what I was looking for at the time: an ice cold thirst quenching drink. It should be a good thing that it was not watered down, there was good lemon taste but the lavender really shone through and was the star. It wasn’t too sweet or too sour. I just wished there was more of it. Fast forward to September, I came back to Montreal for school. 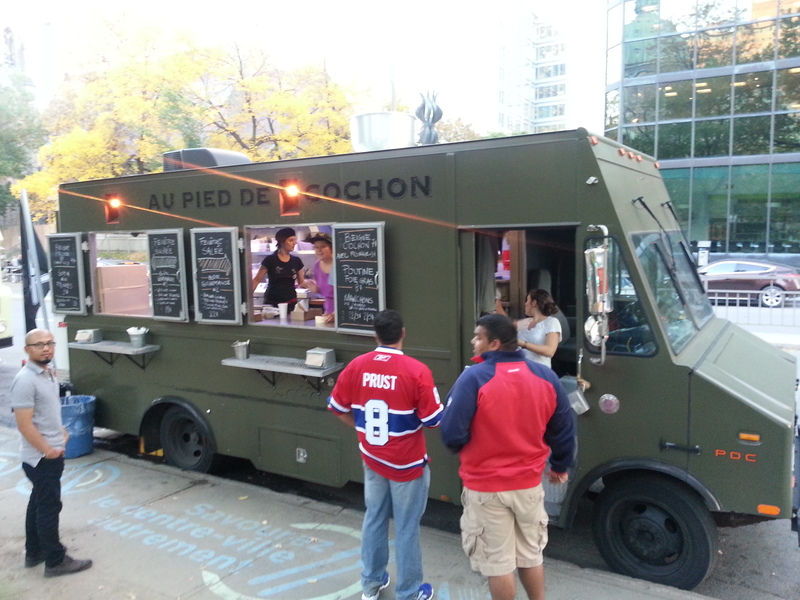 We were sent emails that food trucks were coming to both Macdonald campus and Downtown campus of McGill. We were all pretty excited that they would come all the way to Macdonald campus! After running a bunch of errands one Tuesday morning, I was met with the site of Roux. 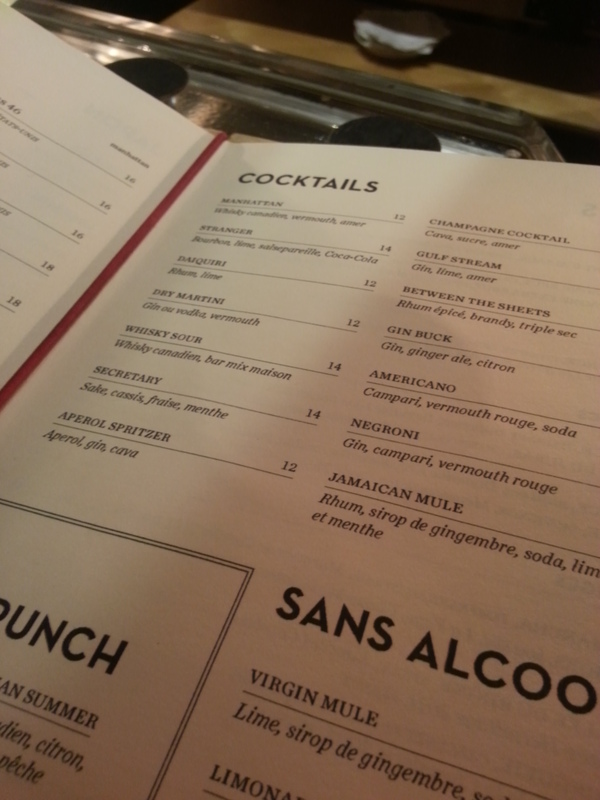 As I looked through the menu, I felt like I wanted everything. 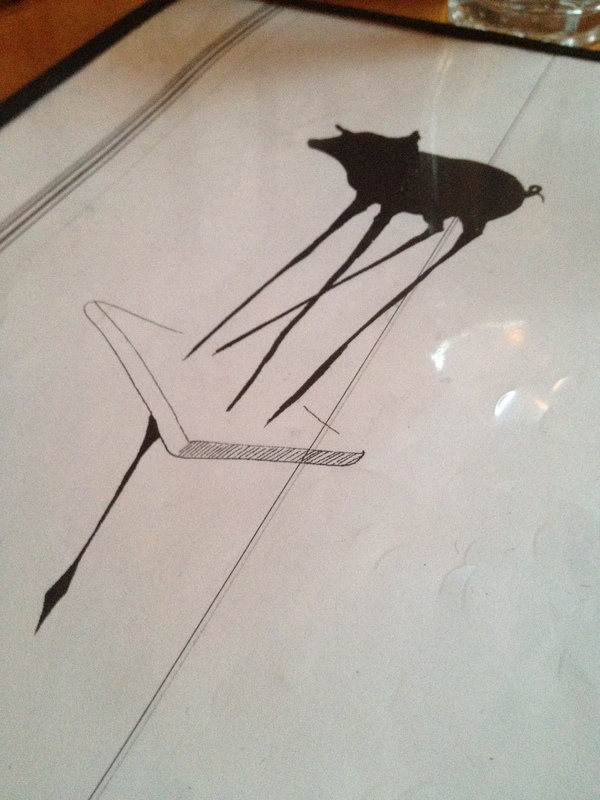 But in the end, I went with the Club Canard. My friend ordered the Poutine Pulled Pork which is actually a wrap. The club sandwich came with spicy fries. Although the duck was absolutely delicious, for me the fries won my heart. The seasoning was done to a perfection in which it was sweet, salty and spicy all at the same time. The cajun pepper they used was absolutely amazing. It was not too soft or too crunch (I hate crunchy fries! ), and I couldn’t get enough. I even contemplated going back to just get an order of fries, but I thought that would’ve been too much and I would get food coma during class. 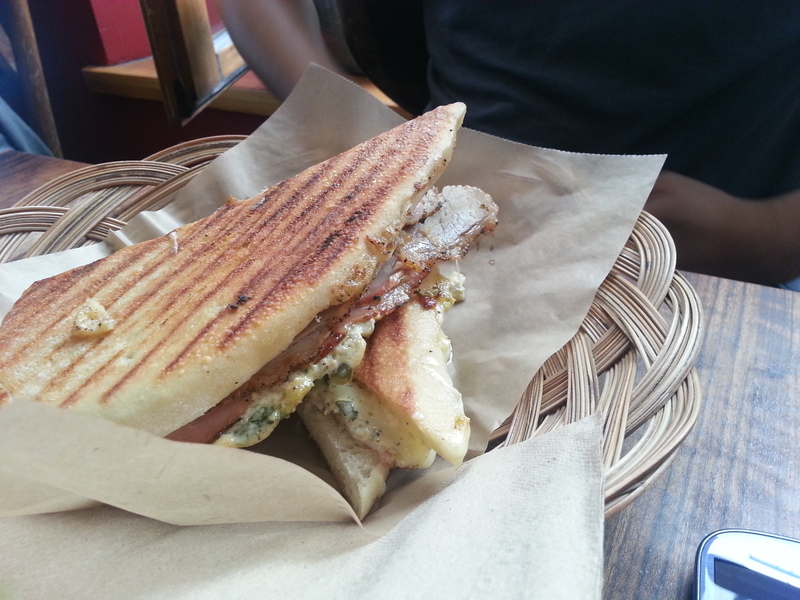 The club sandwich was also very yummy. The duck was juicy, tender and full of flavour. You could taste every ingredient, but they all worked well in the mouth together. It is always such a shame when you have amazing ingredients, but together they overpower or work against each other. It was not ht case in this sandwich. I was not a huge fan of the chipotle as it had what I call the “armpit taste” (term coined by my mother). I suspect this is due to some cumin in the chipotle, but even though I don’t like the taste, it worked well with the sandwich. 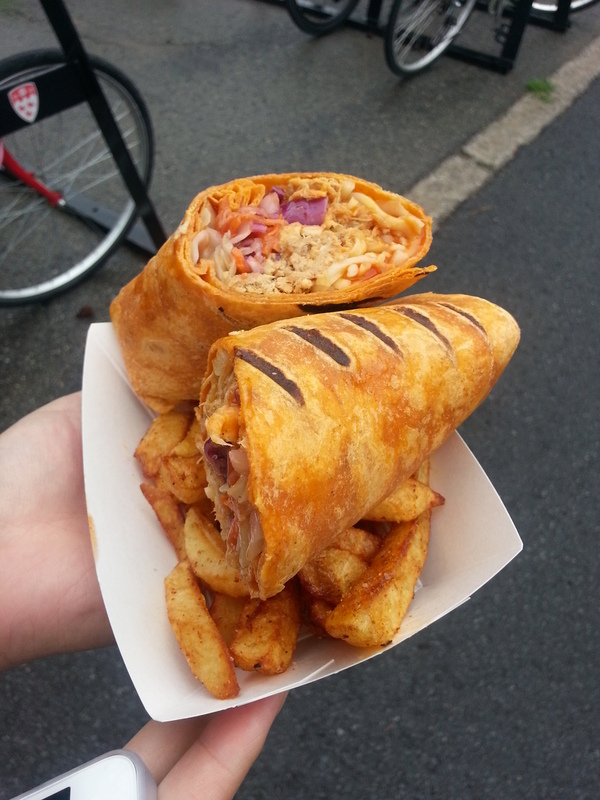 My friend had the Pulled Pork Wrap. She said it was also very good, and you can read about it here. 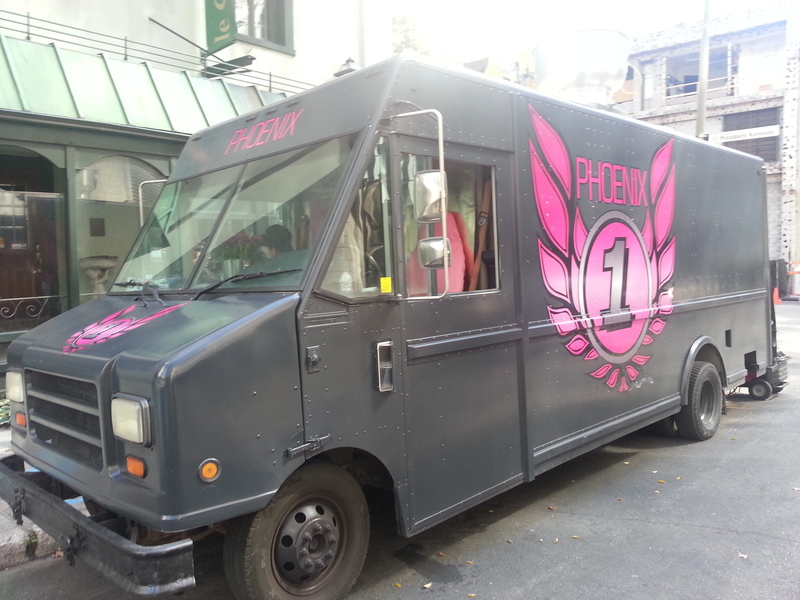 A couple days later, after class, I saw the Phoenix 1 food truck really close by at school. I decided to just buy lunch as I was pretty hungry. I ordered the Pulled Pork on Naan bread. 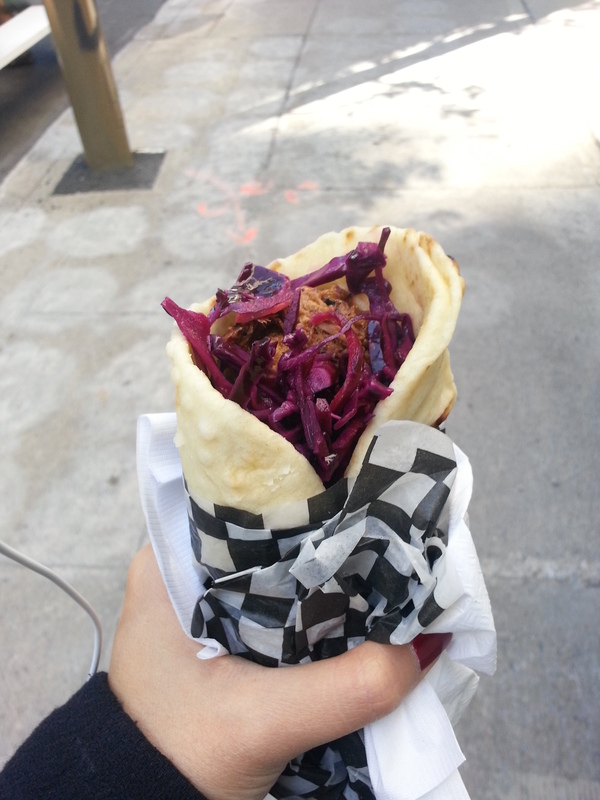 It was pretty good, the pork had good flavour, was tender and juicy and the sour purple cabbage made it less filling. The naan bread was warm and a little moist on the inside. The naan bread was also lined with a piece of swiss cheese on the inside, which made for a very interesting texture. I had learned that the cheese is to provide a moisture barrier so that the bread doesn’t become soggy ,and it had worked very well in this wrap. I thought overall the wrap was a great lunch, and was very satisfied when I got home. Finally, the awaited Camion PDC. 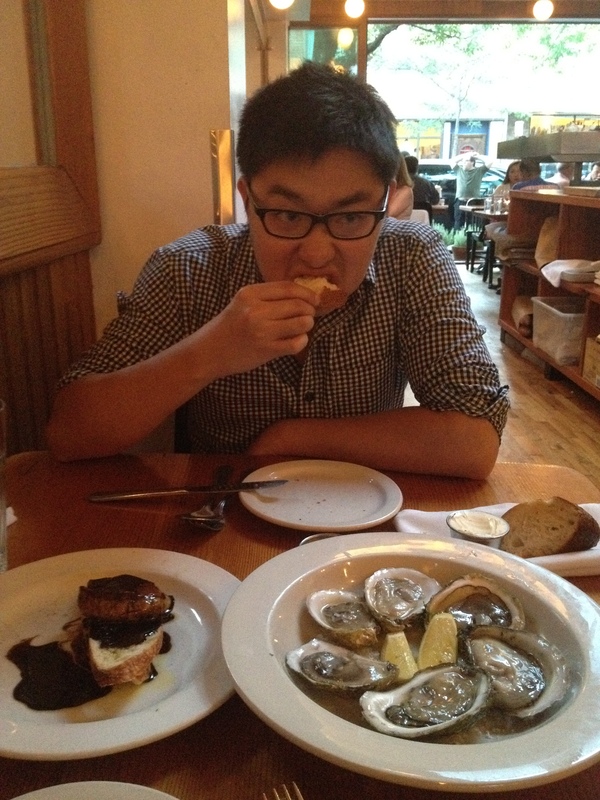 tfung and I had visited Au Pied de Cochon two summers ago when we first came to Montreal to find a place for me to live. I had signed that day and treated him to the delicious dinner. (post will be up shortly). I ventured over to Rene Levesque and Peel today after class as I knew from twitter they were there from 11:30 to 10pm. I suspect it was because of the hockey game that was going on tonight. 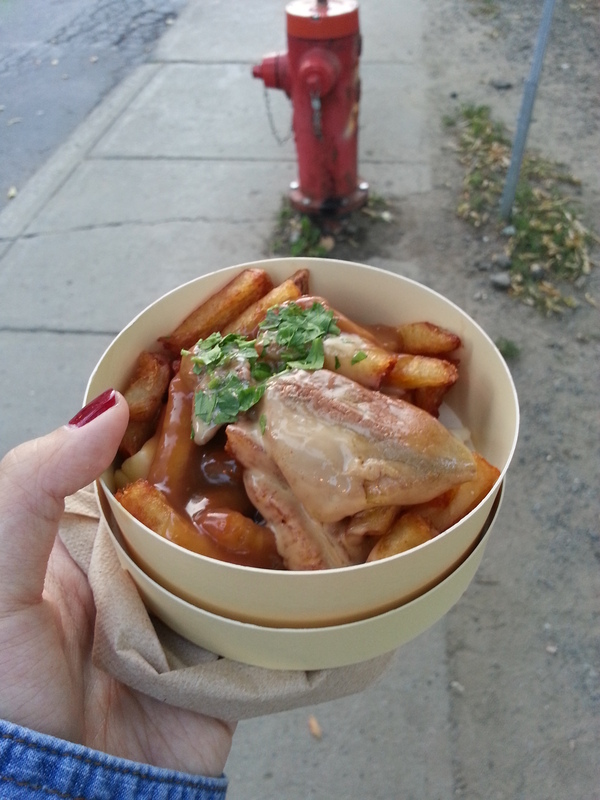 I just got the foie gras poutine. I had contemplated getting the Boite Gourmand #2, but when I asked the girl how big it was, she told me that she cannot finish it and it’s more for two people. So I just went for the poutine. The poutine sauce was mixed in the the fatty liver, and was absolutely delicious (I felt so guilty eating this). 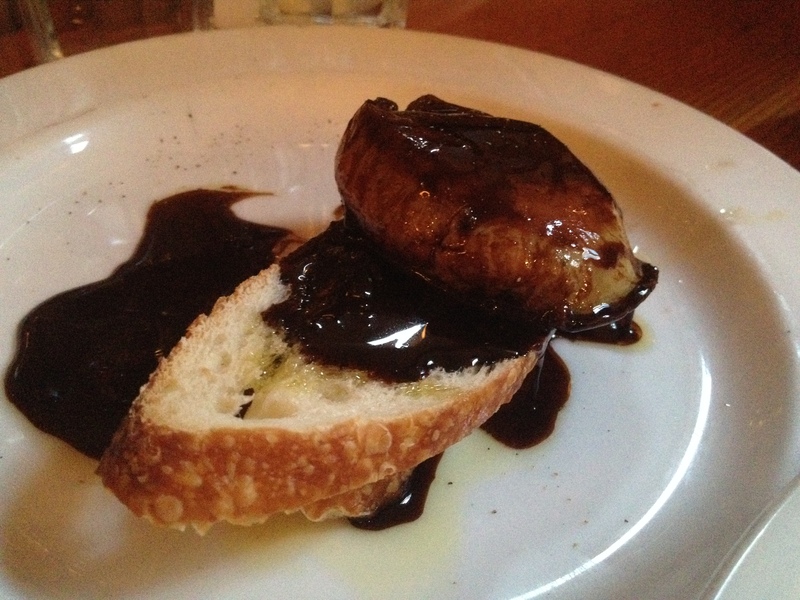 The Foie Gras was very soft and slippery, which may turn off some people but I thought it was really good. The cheese curds were squeaky and chewy, love it. Definitely thought it was a good buy, and I want to try some of their donuts as well! So that’s it for the food trucks I’ve tried. I may have more and I will add to the post, but other than that, food trucks are definitely something I recommend. They run until November 3rd, so head over to one of the spots when you are free! 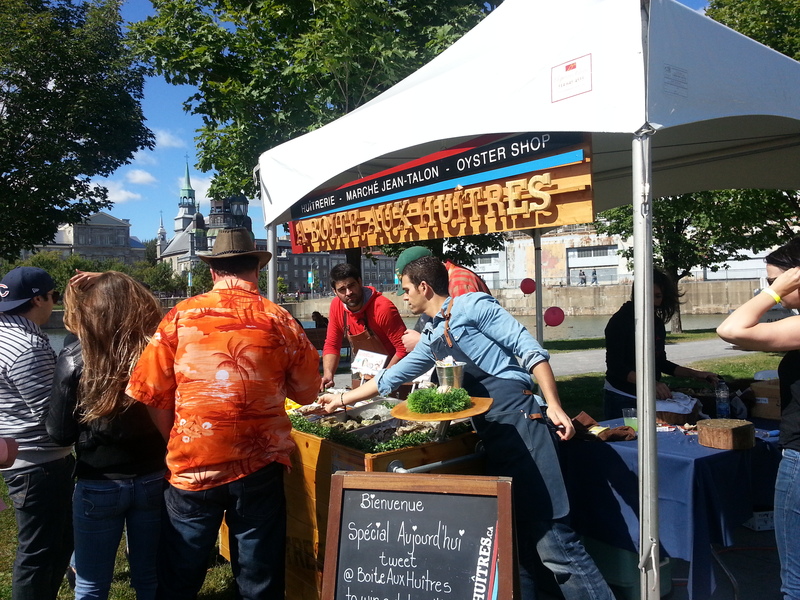 So today was the Oysterfest in Montreal at old port, more specifically at Terraces Bonsecours. It was such a beautiful day today, and we had an amazing time. So our first stop was of course oysters. This is, I believe, a store from the Jean-Talon Market, called Boite Aux Huitres. We got 5 oysters for two tickets. We actually came here three times and every oyster was amazing. They were so sweet and fresh, and didn’t have the fishy taste. 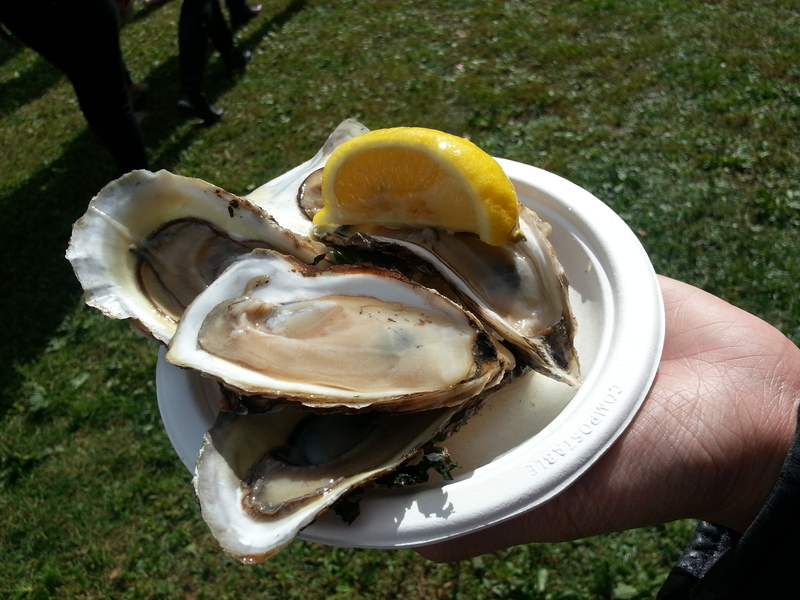 This is why I love East Coast oysters, even though they tend to be smaller in size (although these ones were quite massive), they are usually much sweeter, have a crunchier texture and aren’t very fishy tasting. Next we went for some lobsters. 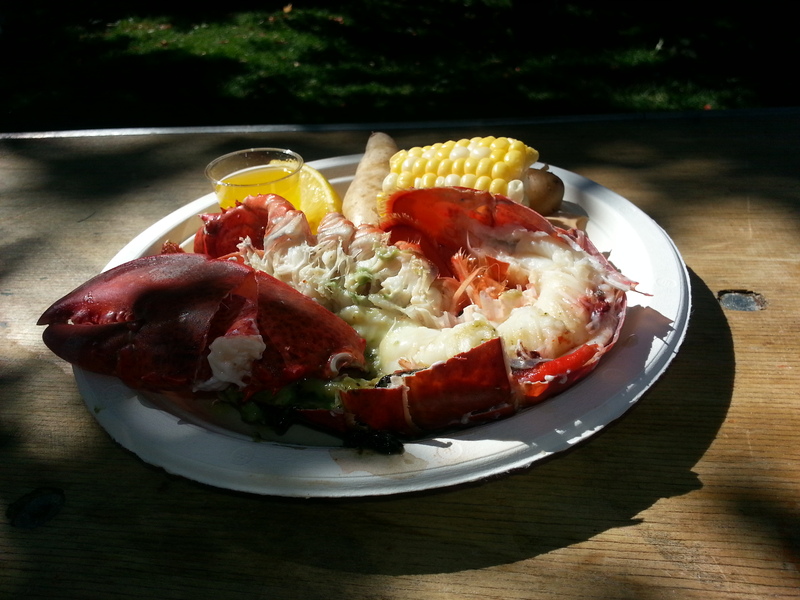 At the Notkin’s Lobster and Shrimp Boil booth, we got half of a lobster for three food tickets. There was also the option of 3 large shrimps for 2 tickets but to be honest they didn’t look that good. The lobster was so sweet and fresh. It came with a small container for melted butter, two pieces of potato and one small piece of corn. We didn’t really care for the veggies to be honest. 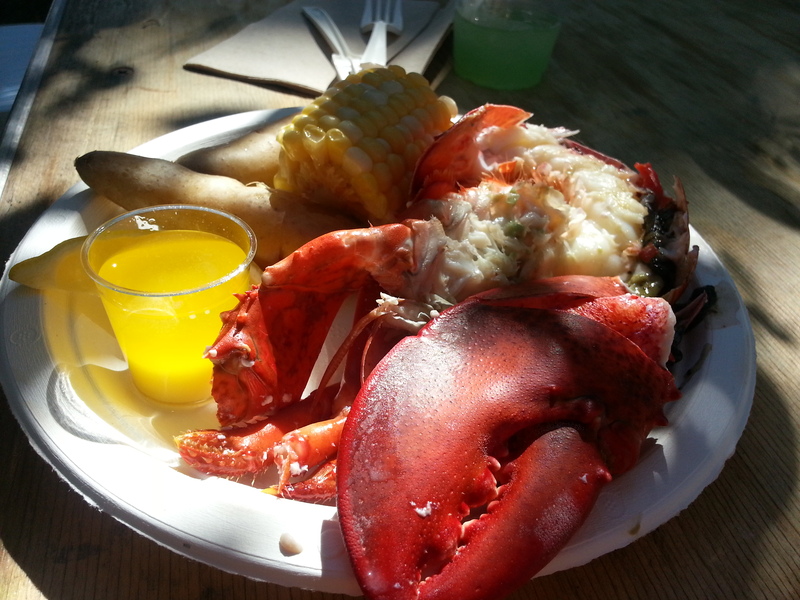 The lobster and the melted butter was amazing. Definitely was a wonderful buy. 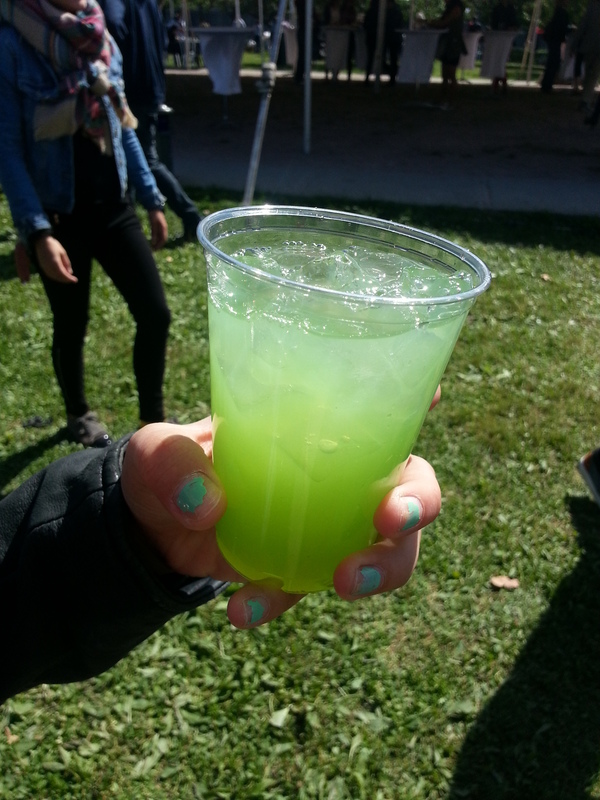 We also got a green sangria which was interesting but not too amazing. 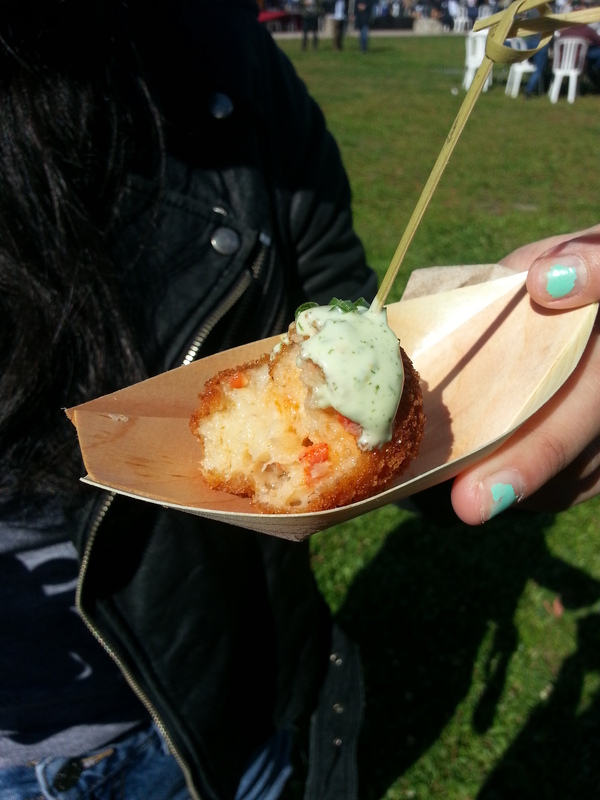 Next we got the Lobster Croquette from Dolcetto/Santos. The texture was very creamy inside, but I didn’t think the flavour was amazing. It didn’t have a lot of lobster flavour which was disappointing. But my friend really liked it. 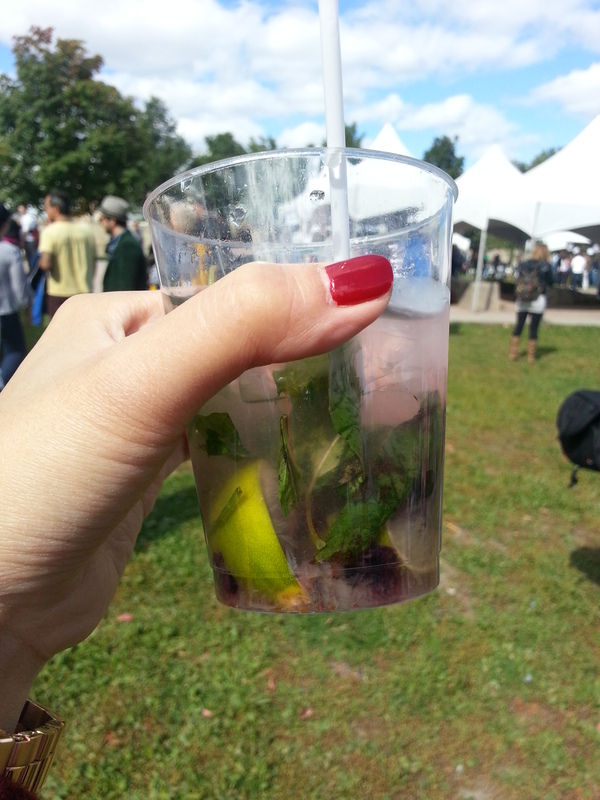 We got this awesome thai basil, blueberries mojito drink after, from the restaurant Ryu. It was really delicious and refreshing. It was also stronger than we had expected, which was nice. I thought it looked really watery but it wasn’t. We got the two drinks for 1 food ticket. 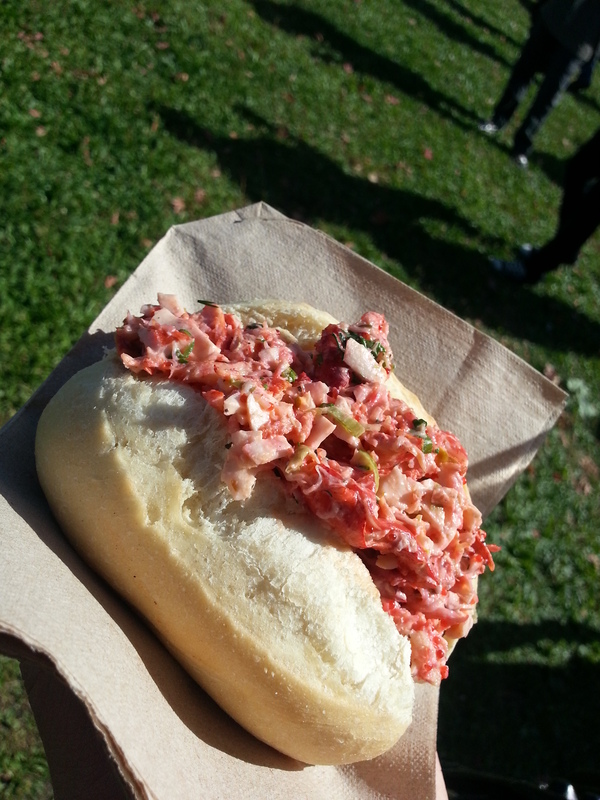 Next we got the lobster roll, which was really sweet and fresh again. The mayo sauce wasn’t too overpowering, and there was a good balance of the chives to complete the roll. I did think that the bread wasn’t very good as it was cold. But it was better than I had originally imagined. 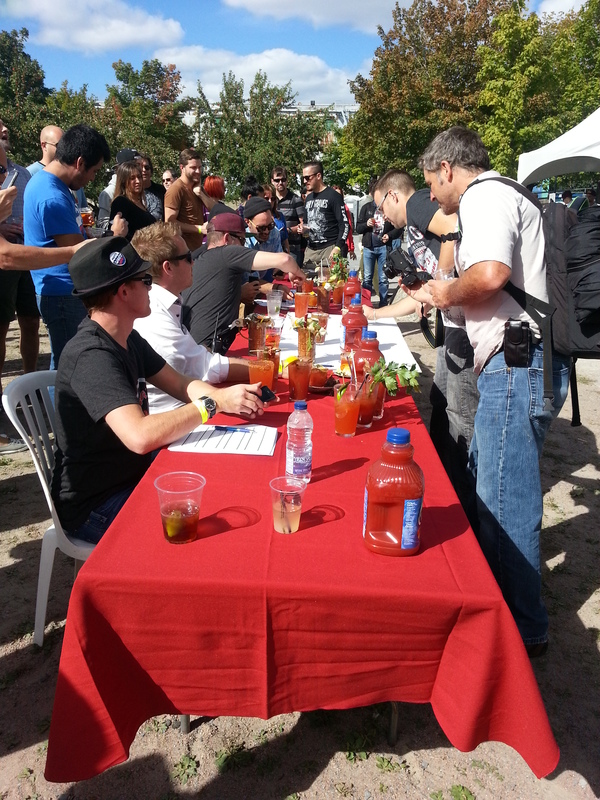 There was also a cocktail competition which featured Mott’s Clamato, and bartenders from various well-known restaurants in Montreal. They were given special ingredients (like oyster) to put in the cocktail and the judges would judge them based on presentation, taste, balance and so on. It was a really fun and beautiful day and I wish I could have shared it with all my friends and family. But at least I was there with one of my good friends, and it was an awesome experience. I’m likely to come back even though it was a little expensive. We paid $45 and $75 for two entry and 12 food tickets combined. Any additional food tickets would be $5. 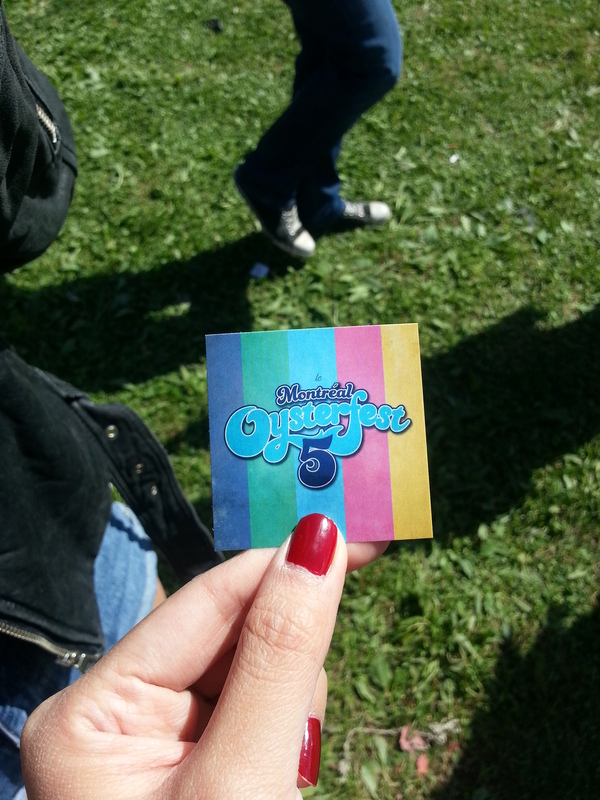 (The $45 entry came with 2 food tickets and $75 entry came with 10 food tickets). We didn’t end up buying any extra ones. I do recommend you to come here if you enjoy seafood and drinks in the afternoon. It’s very date appropriate, as it’s literally right beside the waters, and there are so many benches and tables under shade. There are also boats that you can rent and cycle through the surrounding waters. But it’s also a very lively atmosphere that makes it a great place to hang out with your friends on a Sunday afternoon. So I had been hearing a lot about this bar lately from my local friends. They had been saying that this place was really cool, and was super hard to find. They were right about everything, and more. 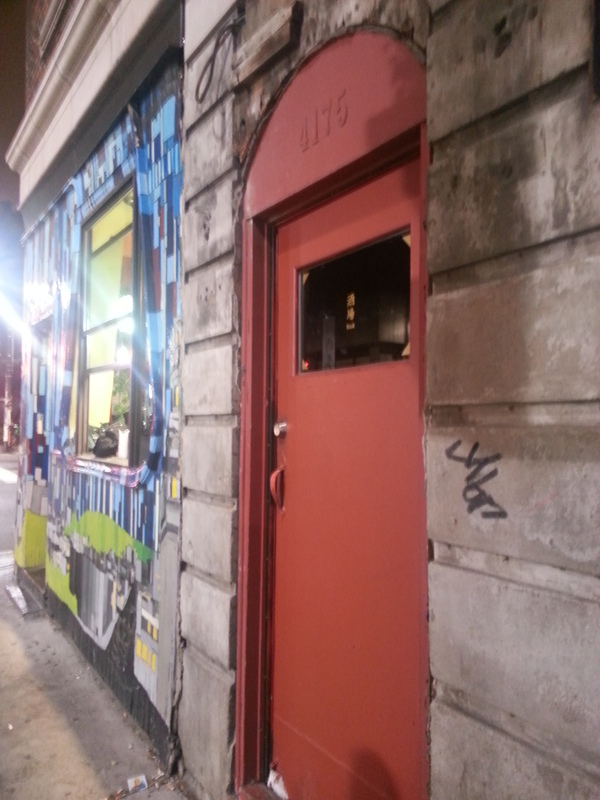 So we get here around 10pm, and push through this kind of sketchy red door. So we walk in, through this narrow corridor (which is actually where people end up waiting in line). The walls were lined with this taupy-greyish thick fabric. And at the end of the corridor was the entrance to the bar which was not yet visible to me, as it was covered by this fabric. We walk in and my eyes probably lit up like Harry Potter’s when he saw the Great Hall in the Hogwarts Castle. The bar was very oddly shaped, with the waiters and waitresses being able to walk through to each customer (an ingenious design in my opinion). There were swivel chairs that could be expertly placed if you wanted more intimate positions. Some people were just standing. 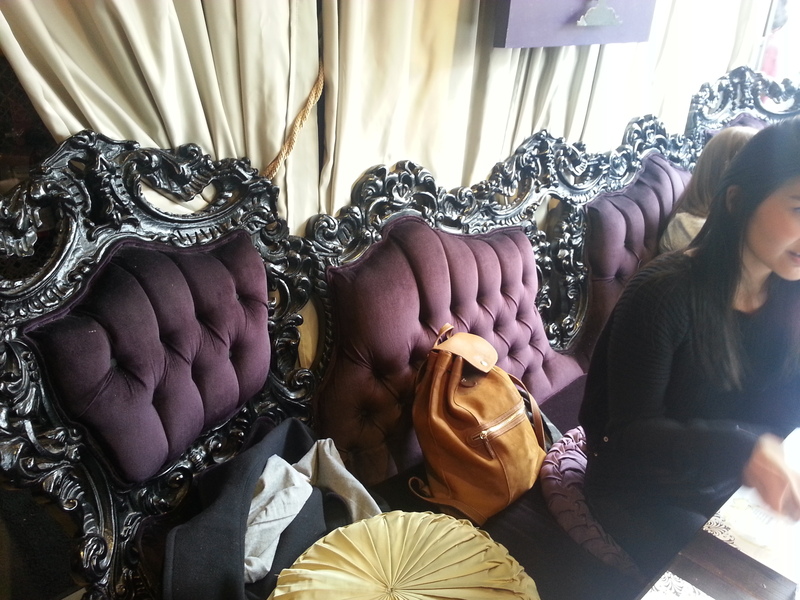 We were able to get a spot with two swivel chairs, which we pushed together so that the three of us could sit on them. 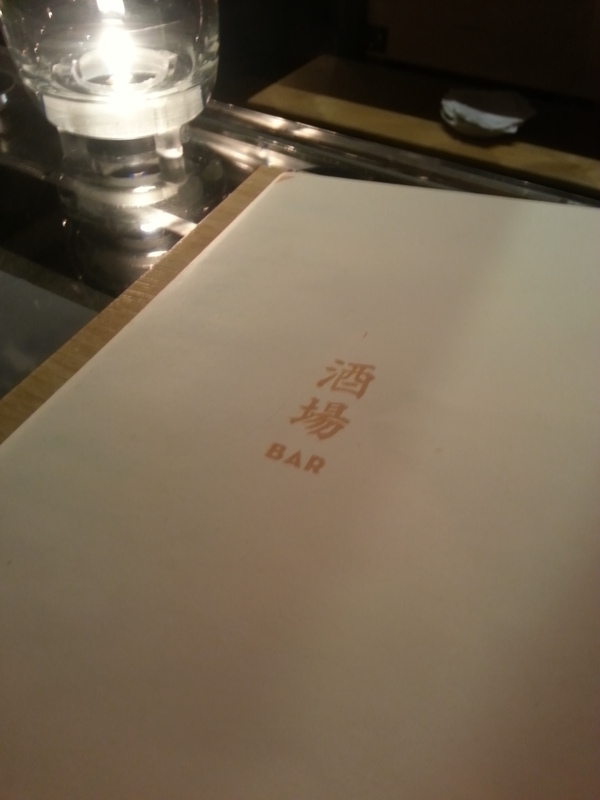 I ordered the Yuzu Chu-Hi, which was part of their Japanese menu. This was a 355mL bottle for $9. It’s got an interesting taste which I think is because this is a malt-based drink. There were two flavours available: yuzu and grapefruit. It was hard for me to decide because I love both, but I figured yuzu flavoured products were much harder to find in Montreal so I settled for that. 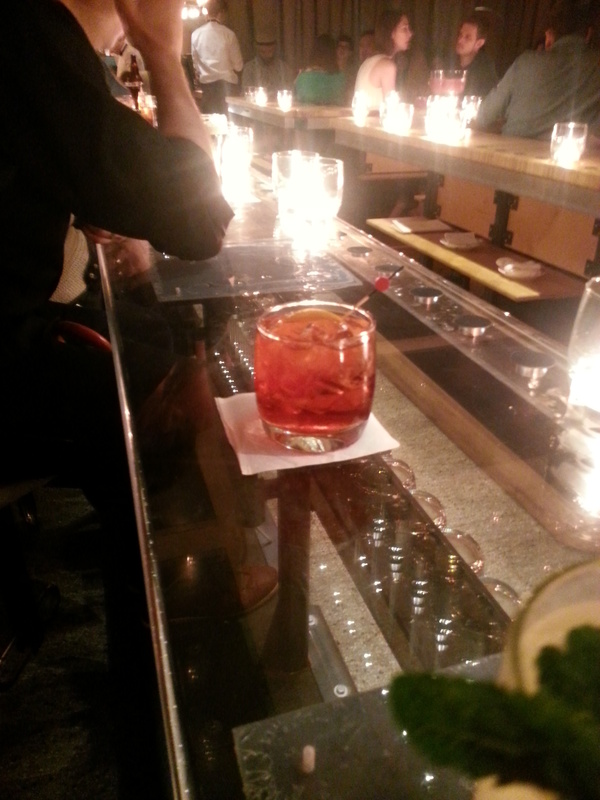 My friend got the Americano, which contains campari and vermouth. It was really quite delicious even though it was a little strong for me. 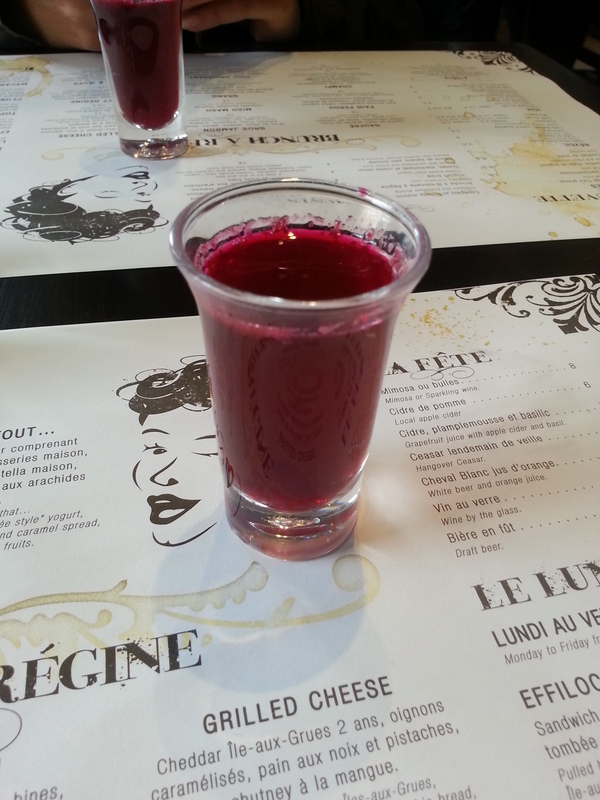 The flavour was sweet enough but not too overdone so that it makes you want to gag after a few sips. It was garnished with a slice of orange. 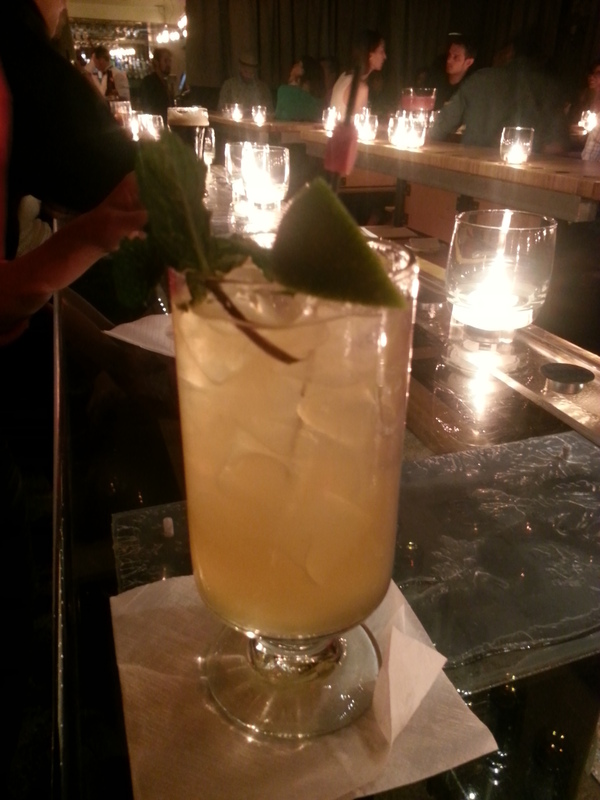 My last friend ordered the Jamaican Mule, containing rum, ginger and some syrups. I thought this was surprisingly delicious. When she had first ordered it I had imagined it to be a dark and thicker drink. 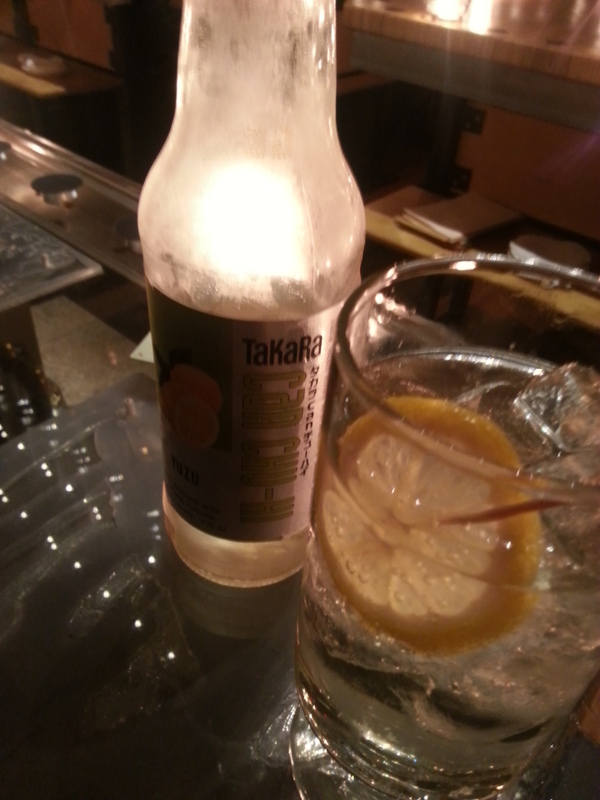 But it was actually very refreshing and the ginger was not overpowering at all. All of the drinks came with the cute little Japan-themed tooth pick. I thought it added such a cute but subtle flare to it. 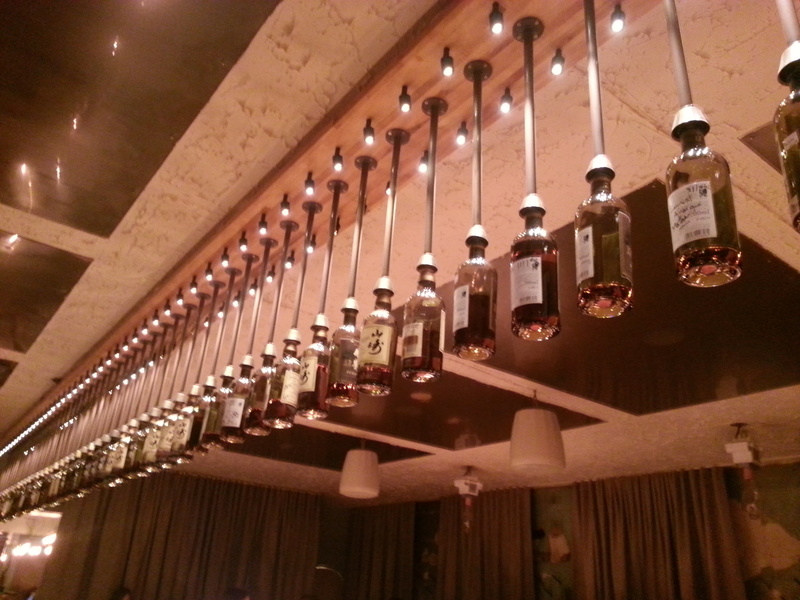 On top of the main portion of the bar, where we were situated, there were these bottles hanging there. My friend explained that these were unfinished bottles of patrons when they order the expensive sake. They are allowed to sign or write a message on it, and then are placed there for others to see. I thought that was a great way to add a more personal relationship with the patrons. You can either open a tab or pay as you go. 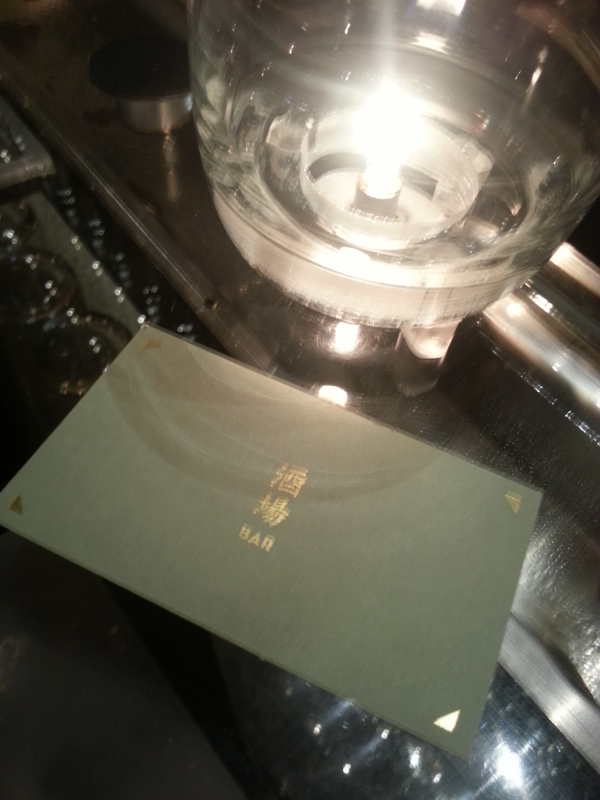 If you open the tab you get this cute little card that kind of resembles a hotel card, with a number on it. At the end you can pay separately if you’d like by card. I thought this was a system that worked very well with what patrons often need. In terms of the ambiance, I absolutely 1000000% loved it. It’s perfect for me. I love way it was decorated. Simple, modern yet with very subtle accents. The candles obviously gave a romantic touch, and I did see a lot of couples there. But it’s not so obviously “romantic” that friends can’t enjoy the atmosphere. It wasn’t TOO loud, but definitely wasn’t a super quiet environment. I loved that you don’t get secluded booths so that it’s more lively and you could probably meet some interesting people there. The owner comes around later in the night to pour your drinks and make conversation with you which was something I really appreciated. This place is definitely not good for a big party though. The reason being that you have to sit or stand along the bar and it’d be very difficult to chat with your friend who was standing 9 people down…. I’d say if you have a party of 3 or 4 would be perfect. I loved this bar so much, it has become my favourite bar at the moment. Just everything about it made me so at peace and happy. The fact that it has a slight Japanese theme to it didn’t hurt either. I highly recommend coming here for a chill night if you just wanna chat with your friends! So recently I had a massive cake craving, and my friend suggested we go to Cacao70, since the last time we tried to go we were too late and they didn’t accept any more people in line. I actually thought this was nice of them, that they wouldn’t let us line up and then tell us that they were closing. But anyway, we made it this time and while we did wait about 20 minutes, it was worth it to satisfy my craving. I have to say that where we were waiting was a little stuffy and really just not very comfortable, especially since it was raining that night. Walking into the store, the aroma of dark chocolate wasn’t too overwhelming which was surprising. 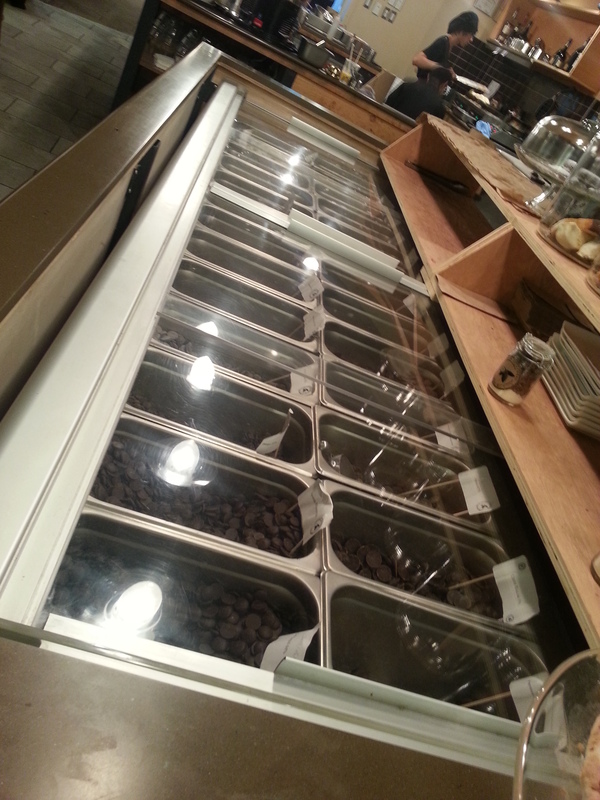 Usually at these dessert places, the smell of chocolate when you enter the store completely turns you off. 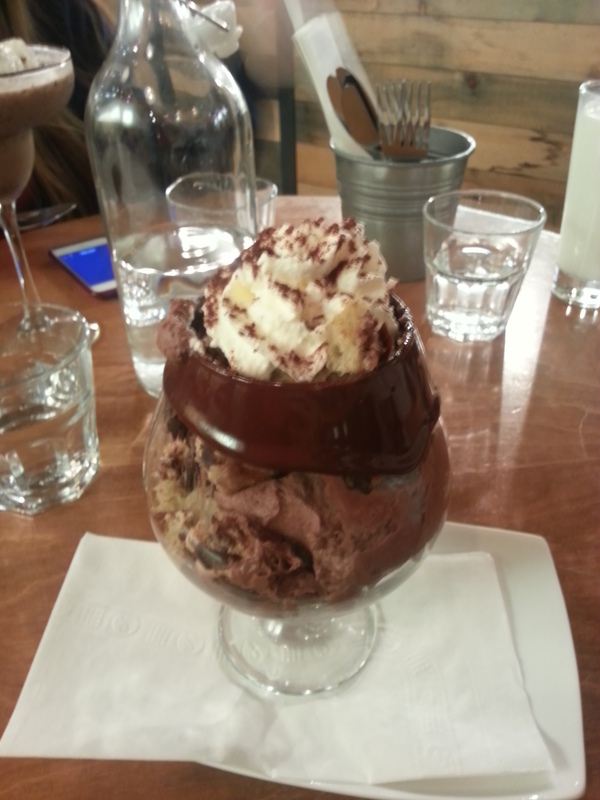 So I was still in my chocolate cake mood as we were seated and given our hipster glass bottle of water. They had a large display of different chocolates at the bar, and is available for purchase among other take out items. There were actually a large amount of patrons in line who wanted to take out, so that’s always an option if you don’t want to wait so long. Finally getting to the food, I ordered the Cacao 70’s Triple Chocolate Cake. 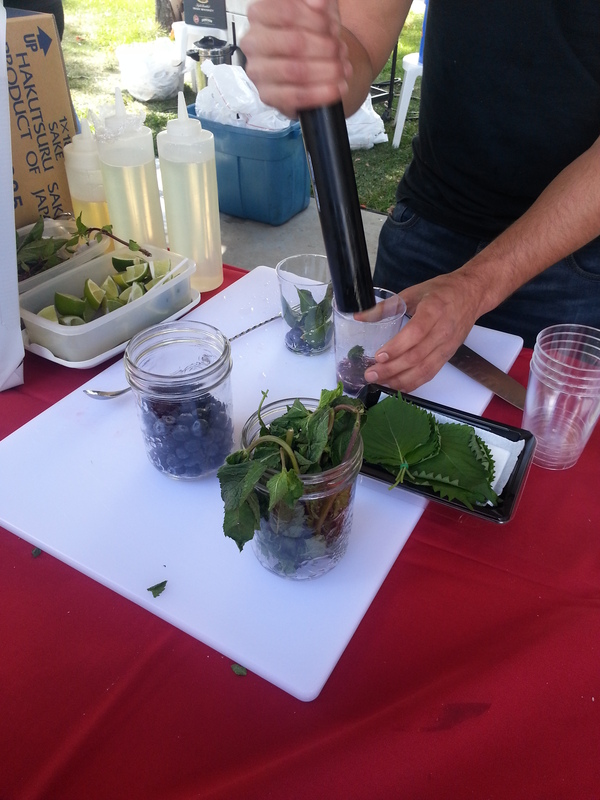 I loved the presentation of it as it was much more refreshing than the old cake-on-a-plate. It’s also good because you get to taste all the flavours in every bite. Perhaps it was the fact that I was craving chocolate cake, or because it really was very very tasty. 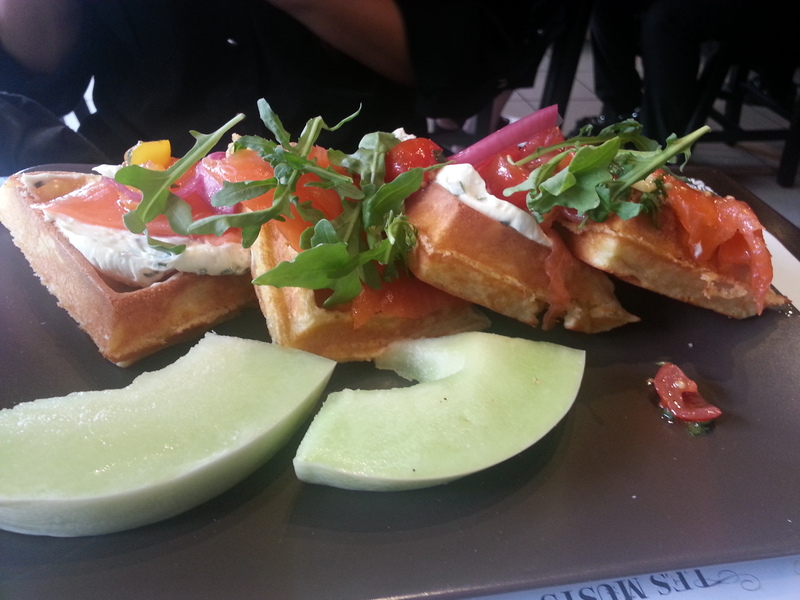 I absolutely loved this dish and am craving it right now as I’m typing. 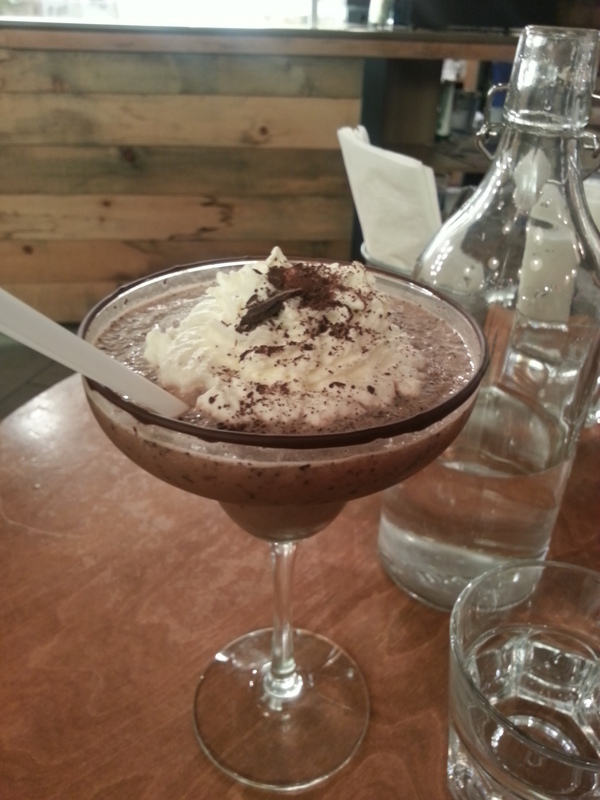 My friend ordered the New York Frozen Hot Chocolate, as she had some ice-cream before our dinner. She said it wasn’t too rich or sweet and isn’t really something for someone who has a huge sweet tooth. She had thought that the one from Second Cup tasted better than this one, as this tasted like chocolate milk mixed in with crushed ice. Perhaps there are certain items on the menu that just aren’t as good, but I have to try all of them first :D. As I’m not a huge frozen drink person, I probably won’t be ordering this the next time I’m back. Definitely the wait was a little annoying, but if you’re with friends that you can chat about anything, you’re golden. The service was quick yet polite. They don’t rush you to finish your conversations, and are very good about refilling water. You do have to go up to the cash register to pay for your bill though. In terms of price I did think it was a little expensive, but it had satisfied my sweet tooth craving so well that I didn’t care much for it. My cake was around $10. 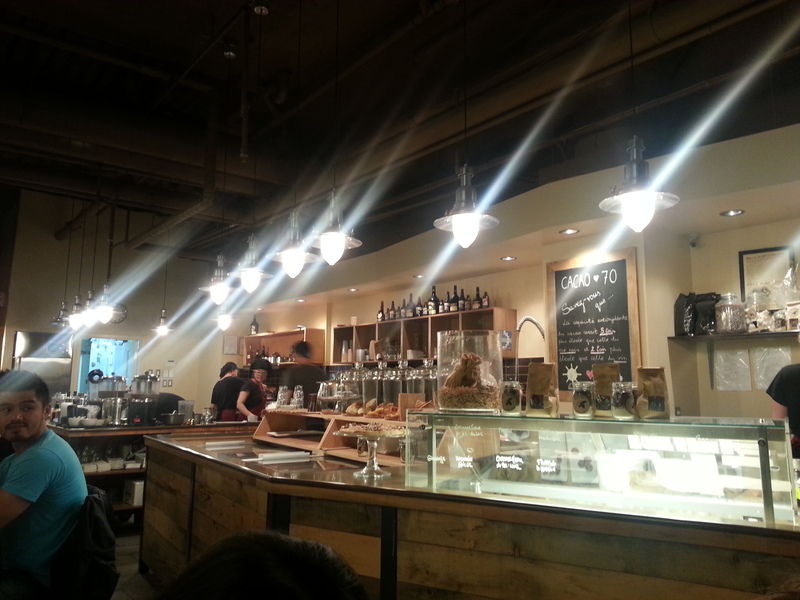 I love dessert places and Cacao 70 is really the atmosphere I look for when I need to satisfy that late night sweet tooth craving. They are opened until 10 or 11pm in the summertime, which is perfect. I bet the chocolate in the winter will be a real treat as well. I highly recommend this place if you and your friends are looking for a place to get some cocoa! This was one of the first restaurants I went with my new found friends in Montreal. I’m not sure whose idea it was but it wasn’t something that I found myself. After that first time, I’ve come back many many times and it’s been tried and true in my books. Other than the fact that their signature dishes are ALWAYS this good, it’s not impossible to get a reservation and the price is very reasonable. It just makes it so easy to come here to eat! 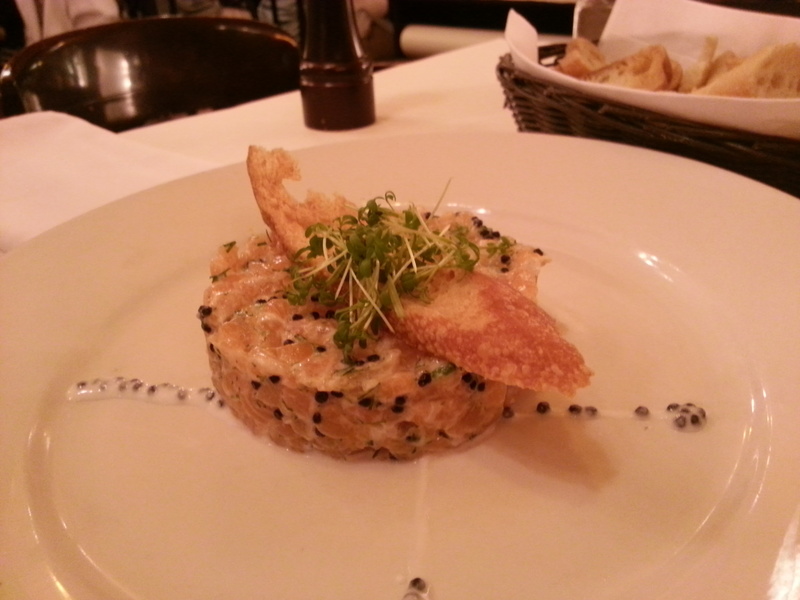 I had come back tonight with my parents and we ordered a Salmon Tartare with Mujjol Caviar to share as an appetizer. The dish was quite good but I didn’t think there was anything special compared to other salmon tartares I’ve had. However it should be noted that they do give you a fair amount for 11.50. 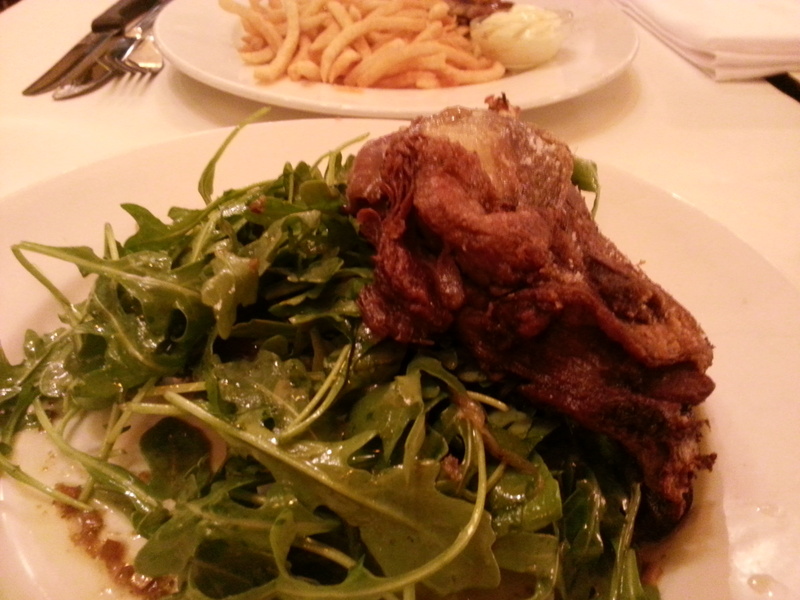 True to form, I had ordered the Duck Confit. At 21.50, this dish is a must have. The duck is so tender and moist on the inside but fried and slightly cripsy on the outside. It is served on my favourite salad, arugula, dressed with truffle oil. There are also some fingerling potatoes at the bottom. Aesthetically, this dish does not look very appetizing. However when you start eating, it is very rich. The truffle oil made the salad taste amazing, as it often does. There wasn’t much else in the salad which was fine as it was so rich already. The potatoes were done well. 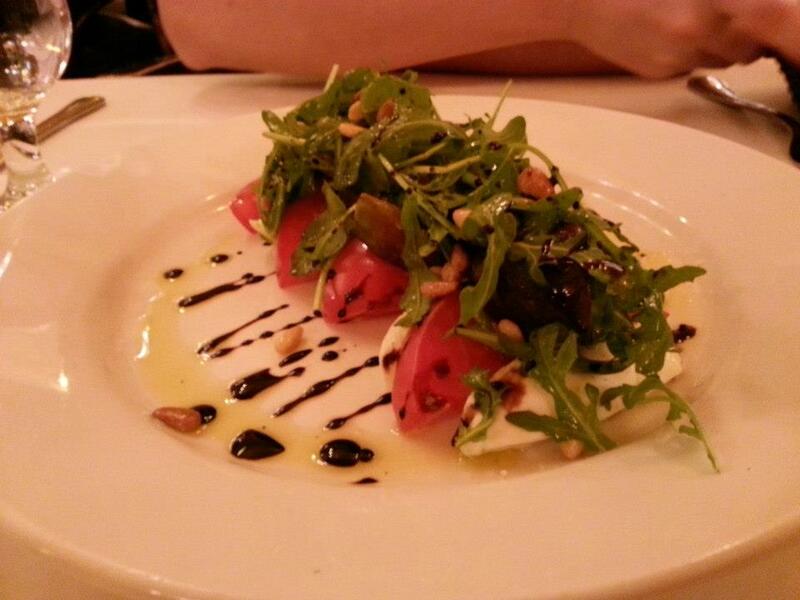 On other occasions, tfung and I ordered the Buffalo Mozzarella salad dressed with balsamic reduction and pine nuts. It was absolutely delicious, very fresh tomatoes and the cheese was not overwhelming, as I do not like very strong cheeses. I loved the balsamic reduction and the pine nuts added a nice touch. tfung and I ordered the duck confit as well as mussel and fries. 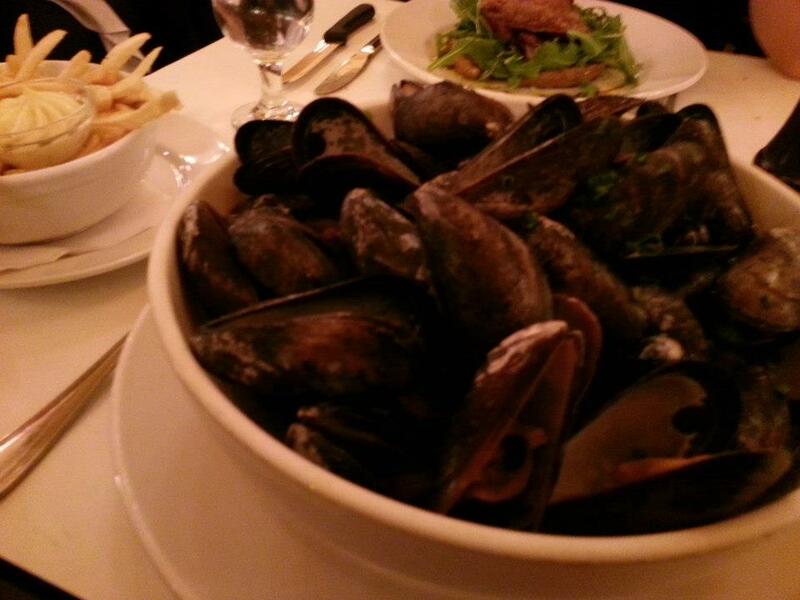 The mussels were quite good, but they weren’t the best I’ve had. They weren’t the freshest mussels, as they did shrink quite a bit. It did come in a very large portion for 20.50 though. The house fries were quite good and were served with mayonnaise. Overall, I love this restaurant and the service is decent. It can become very noisy especially later at night. There is a wide range of people dressing up and dressing down, which is nice to know that you could go in shorts and they will not give you snooty looks. One thing I would complain about is that this restaurant is a little heavy on the salt.